L4G South West Herts District: What is the SW Herts District Website? 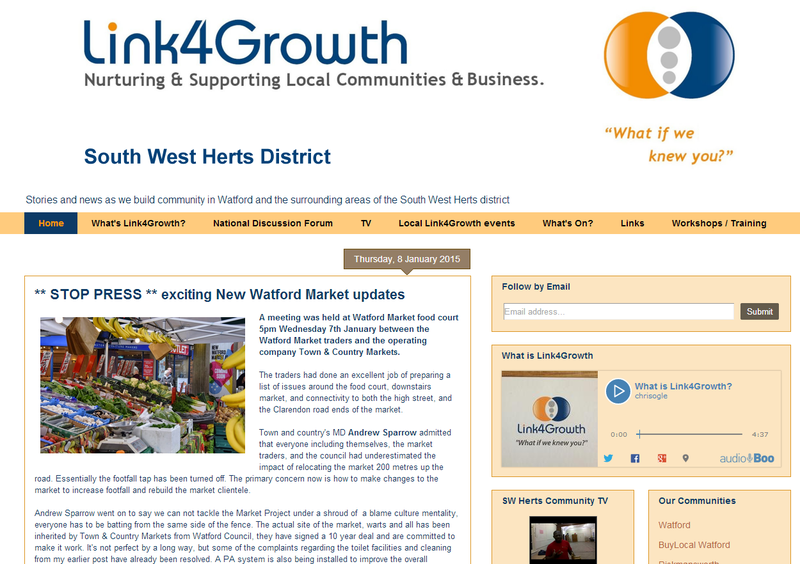 +Link4Growth SW Herts has been a driving force in #Link4Growth and one of the key ways we are doing this is by using a blogger site designed to be our 'district website'. The website pools in all aspects of what we are doing in the area and enables people to have a single place to find out everything that is going on in SW Herts. So what does the website contain and how does it build community? 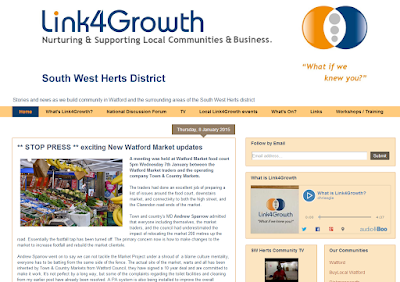 SW Herts blog: This is the blog for the area and as well as stories about what we are doing in the area, we have the ability to provide a space for Link4Growth subscribers to showcase what they are doing and links to their blogs. This in essence is a magazine for the area and can contain stories ranging from property and the local economy to politics and much more. We are constantly looking for new people to help write pieces for this so if this interests you, get in contact and we can help promote what you do! Along the top of the page you will see a bar with links to various sites we use. For example, we have the link to the main L4G website so people can find out more about Link4Growth and so of the other aspects of it. 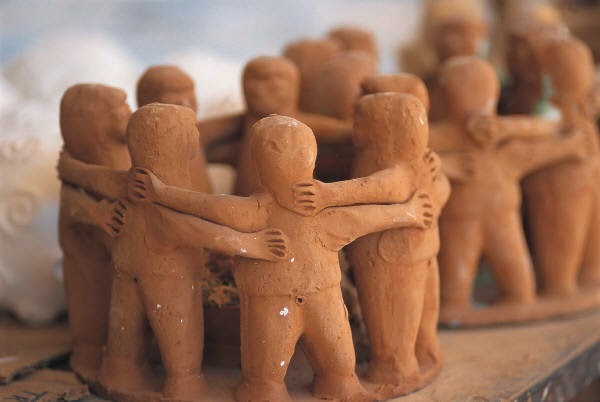 We have links to the newly upgraded national forum where you can connect with other people within Link4Growth and help people on a national level. We also have links to the Link4Skills and two features I will go into in further detail below. The other key link is to our community calendar. In short, this is a calendar for the people of SW Herts to find out what is going on in their area. Whether it is big events in the Watford Colosseum or a yoga class in a community centre, this calendar enables the people to find what is going on in one place. And because it is linked with Google, you can add it to your phone's calendar and find out what is going on wherever you maybe! To the right hand side we have a further set of links to different aspects of what we do. We have a feed to our #CommunityTVShow which enables you to watch our latest show. We also have links to all our communities such as L4G Watford and L4G BuyLocal Watford. These are key aspects of online community building and enable us to build community online as well as online. To be honest, this is just a mere sample of what we are doing on the website and the best way to find out everything is to visit the website at http://l4g-swherts.blogspot.co.uk/ and look around. I believe +Chris Ogle will be doing a short video tour explaining much of this in video form for those who prefer video. If you have any questions, do ask one of the SW Herts team and they will be able to explain all to you!